Spring, Texas – June 14th (Harris County Office of Emergency Management): The Harris County OEM issued a statement moments ago warning residents of the dangers that are approaching our area in the next 48-60 hours. 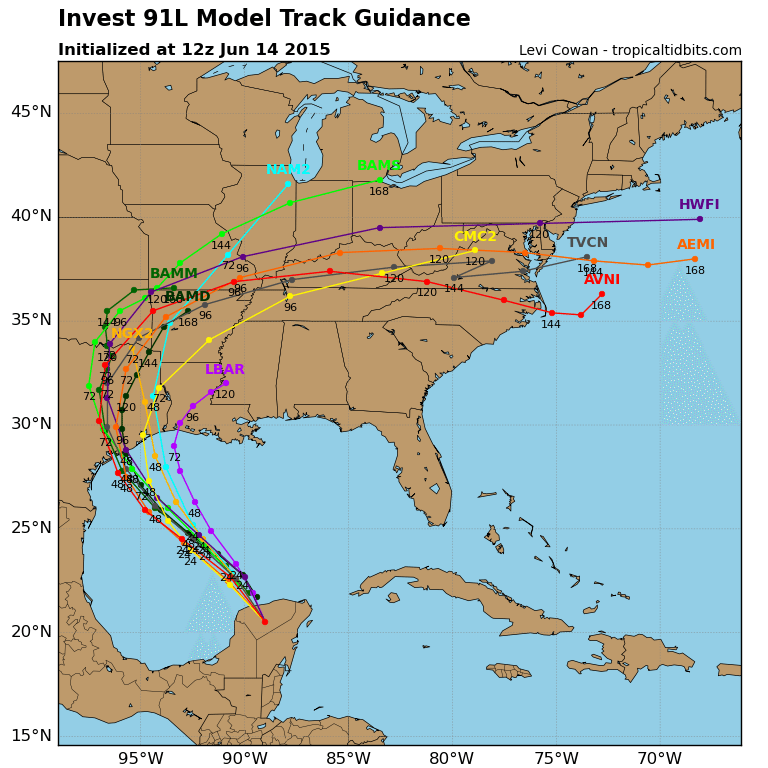 The OEM is comparing this storm to Tropical Storm Allison. The OEM has already moved to a level 3 / increased readiness stage. Stay tuned to Spring Happenings for further updates and developments. A tropical weather system is moving toward Southeast Texas and is expected to make landfall within the next 48-60 hours. The primary threat will be extremely heavy rainfall and widespread, possibly catastrophic, flooding. This storm is expected to bring 6-8 inches of rain to nearly all of the region. Isolated areas could receive up to 15 inches of rain. This would be comparable to Tropical Storm Allison. While high winds and even tornadoes are possible, already wet grounds mean that even a moderate amount of rain will likely cause street flooding. Bayous and rivers could go out of banks quickly creating a serious threat to life and property. Residents are urged to STAY OUT OF FLOOD WATERS! Floods are the primary cause of weather related death and just six inches of moving water is enough to knock a person from their feet. Walking, playing or swimming in floodwaters can expose you to reptiles, rodents, and insects that can cause serious injury or death. Motorists should remember that it is often impossible to determine the depth or current of water covering roads. Just 12-24 inches of moving water can sweep a vehicle from the road or into a creek or bayou. Water rescues are difficult, uncertain, and dangerous to our first responders. Make the right decision the first time:TURN AROUND, DON’T DROWN! Local media will offer extensive coverage of forecasts and tracks. Additional information is also available through the resources below. It is important to rely on trusted sources when looking for information on social media sites like Twitter or Facebook. Most traditional media outlets and government agencies maintain a social media presence. These are your best sources for hurricane related news and official instructions. The Harris County Office of Homeland Security & Emergency Management (HOCHSEM) has moved to Level 3 – Increased Readiness due to the potential tropical weather threat. Increase Readiness means that hazardous conditions do exist but they pose no immediate threat to life or property in the county. The Emergency Operations Center (EOC) has been activated and partner agencies have been asked to provide representatives to assist in a possible response. The EOC will remain activated until the danger has passed.